More than one in four adults in England will have to register with child protection authorities next year, under an expanded safeguarding scheme. Anyone working or volunteering with young people will have to register. 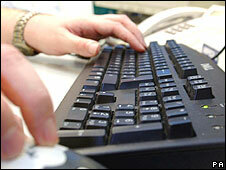 The government says 11.3 million people will be on a database, with registration costing £64 per person. But employers giving work experience to secondary school students will not be compelled to register their staff, says the government's consultation response. The Independent Safeguarding Authority (ISA), which will launch in October 2009, will provide a single agency for vetting the suitability of staff who might work with or help young people. Setting up the system will cost £84m says the government - with annual running costs expected to be £47m, as details of people on the register, such as changes of job or vetting status, will have to be kept up to date. The adult population of England is about 40 million, including about 9.5 million retired people. It is proposed that more than a quarter will have to be included on this protection list. There will be more adults on this vetting list than the total number of under-18 year olds in the country. It is expected that this will become the most extensive database of its kind anywhere in the world, including staff in education, training, health, sport, leisure and any businesses or venues where staff regularly come into contact with those under 18. But the government's response to the consultation for the ISA will allow some exemptions. Employers will not have to register all staff who work with under-16s in the workplace - such as newsagents who employ youngsters for paper rounds. There will also be no compulsion to register staff who come into contact with work experience students - such as those taking the forthcoming Diploma. "Work experience organisers will want - as they do now - to agree appropriate safeguarding measures with the employer which may include ISA checks," says the government's response. However voluntary staff, such as people supporting charities or school governors or helpers, will have to register if they come into contact with children. But for such adult volunteers the fee will be waived. This database, administered with support from private sector companies, will hold information on these registered individuals, which can be used by employers wanting to know if applicants are suitable for jobs working with young people. This will have to be updated, with employers promised information if the status of an employees changes - such as being barred following a conviction. The safeguarding authority, set up in response to the Soham murders in 2002, will use criminal record checks and lists of adults barred from working with children to assess suitability. There are currently about 8,000 offenders banned from working with children. From October 2009, anyone applying for jobs working with or helping young people, will have to apply for registration - and employers or charities working with children and vulnerable adults cannot recruit workers who are not registered. It will become an offence for anyone barred from working with children to apply for such a job - and there will be penalties for employers who fail to check on the registration of applicants. From 2010, those already employed in jobs or in a voluntary capacity, with or without CRB checks, will be obliged to register. The government's response to consultation only applies to England, but the scheme will be extended to Wales and Northern Ireland.